Anne Curtis is celebrating her 33rd birthday today, February 17, 2018. And her husband, Erwan Heussaff, posted a sweet birthday message on Instagram around midnight of her special day. The post has videos of Anne in various places, events, and happy moments. The best part is Erwan's message, which reads: "There is nothing more I enjoy in life than watching you have a good time, stuff your face, and be merry. There is a certain way that you look at me that's hard to describe, but that will always let me know if we are where we are supposed to be. Now that you're my wife, my job is to make sure that all those things become constants on the road ahead, from here on out. This is your eighth birthday that we celebrate together, yet it always feels so new and exhilarating." The open letter ends with, "In the words of the King, 'Well, I love you, for what you are / I even love you / For what you may become.'" 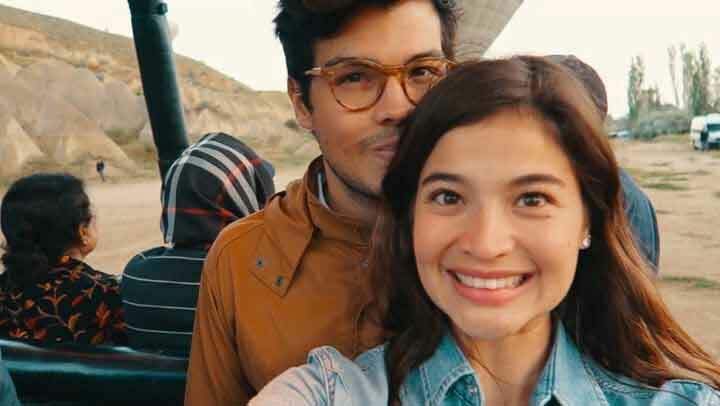 Anne and Erwan started dating in 2010. They tied the knot on November 12, 2017, at Thurbly Domain in Queenstown, New Zealand. Anne has also been openly sweet to Erwan. Last January 10, when Erwan turned 31, she posted on her Instagram account a sweet message for her "mon amour." Anne wrote, "Happy Birthday to my happiness, my security blanket, my best friend, my mon amour, and now my husband @erwan. Here's to another awesome year for you, my love. I'll always be here, right at your side, to support all of your dreams and goals."